As a scholar of Iqbal Studies, the special focus of my work is to place Iqbal in his times as those times were perceived by him and by his contemporaries. This approach is essentially different from those who start with certain notions about that period, invariably developed after those times. For instance, he is often labelled as a ‘Muslim modernist’ but he never used that term and this is not how he was perceived by his associates and followers in his life time. One of the most important revelations for me was that in his own life, Iqbal was almost always seen as a representative of an ongoing literary movement. The movement was believed to have started with the publication of the Mussaddas by Altaf Husain Hali in 1879. 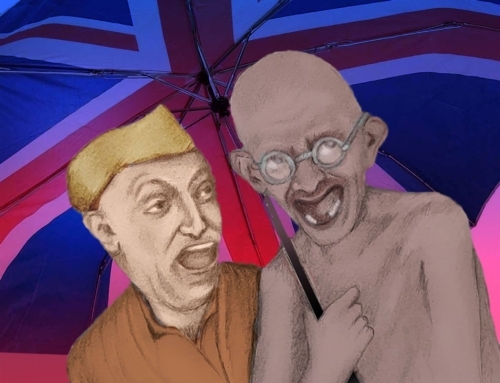 It can easily be said to have survived at least till the end of the British rule in South Asia. 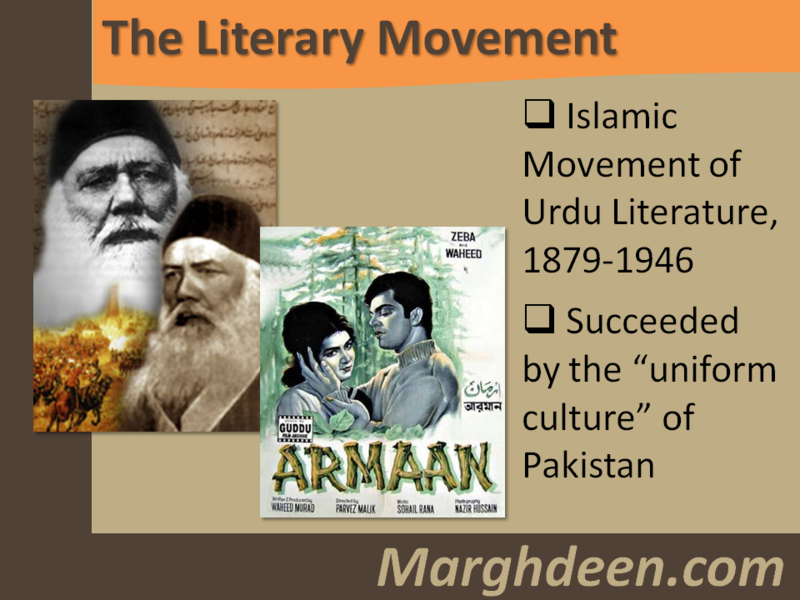 One of the names given to it was ‘the Islamic Movement of Urdu Literature’ although its themes were not limited to Islam nor was it restricted to Urdu. 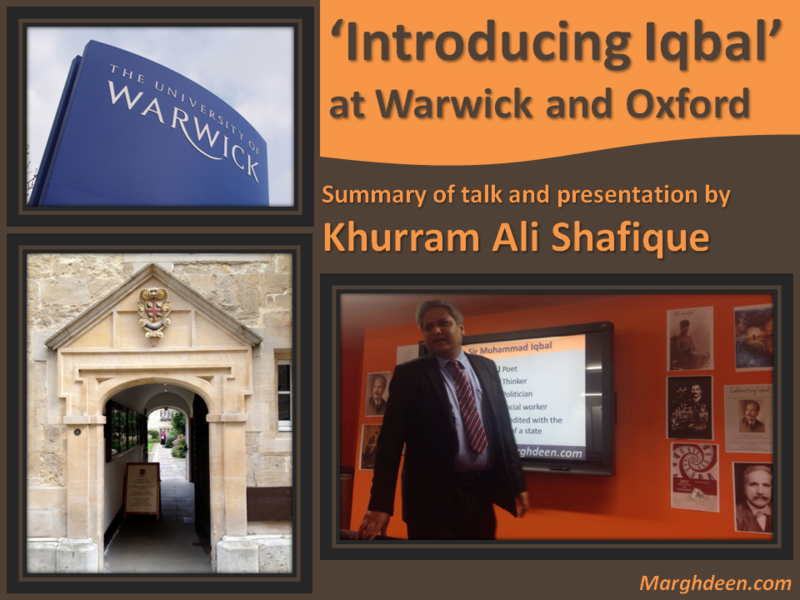 I have presented an outline of this movement in my book, Iqbal: His Life and Our Times (2014). I believe that this movement was succeeded by the ‘uniform culture’ of Pakistan (including the present-day Bangladesh at one time). I use the term ‘uniform culture’ in the same sense in which it was used by Iqbal, i.e. art and literature that is simultaneously popular among the high and the low alike, and hence distinct from both the ‘high culture’ and the ‘popular culture’. I therefore perceive the presence of a literary movement that started in 1879 and happens to be still alive. 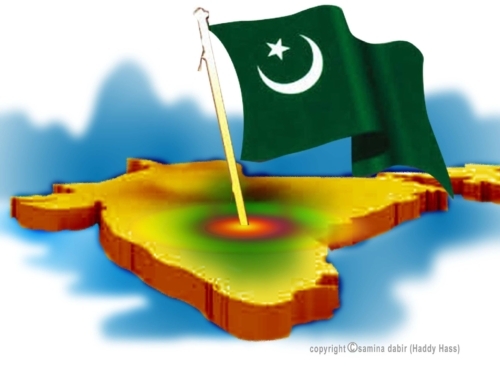 It has expressed itself in Urdu, Persian, English and several regional languages of South Asia including Bengali. 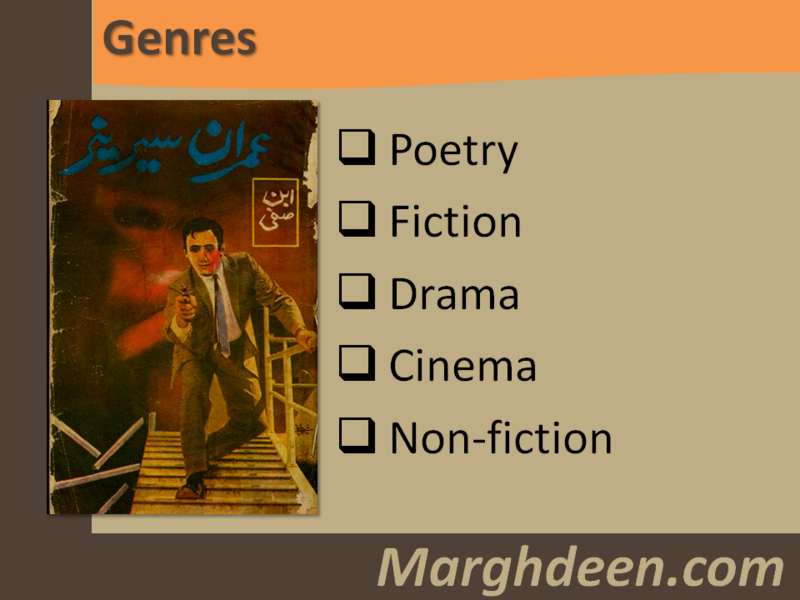 The genres include, among others, poetry, fiction, non-fiction, drama and cinema. Among the most prominent writers of this school in Pakistan may be included Ibn-e-Safi, Waheed Murad, Mustansar Husain Tarar – and of course many others. I have explained the relevance of Ibn-e-Safi to this movement in two of my Urdu books, Psycho Mansion (2011) and Rana Palace (2011), and the relevance of Waheed Murad in his biography, Waheed Murad: His Life and Our Times, published recently. The influence of Iqbal can be felt even outside this school of thought. In India, his poem ‘Saray jahan se achha Hindustan hamara’ happens to be the most popular national song. This much is well-known but nobody seems to have notice his influence in other areas, such as popular songs from mainstream Indian cinema. ‘Ik shahenshah ne banva ke haseen Taj Mahal’ is a popular ‘song’ (but actually a poem) sung by Lata and Rafi for the movie Leader (1964). It was penned by Shakeel Badauni as a rebuttal of the pessimistic poem of Sahir Ludhianvi, ‘Ik shahenshah ne daulat ka sahar lay ker’. If we look carefully at the verses of Shakeel’s song, we find them to be a partial translation of a passage from the Persian poem of Iqbal, ‘Bandagi Nama’, where he is presenting Taj Mahal as an epitome of the architecture of free nations. Most of us may have heard the song ‘Ik rasta hai zindagi’ from the movie Kala Pathar. It was written by Sahir Ludhianvi and sung by Kishore. Nobody seems to have noticed that it reads like an abridged translation of the poem ‘Ju-i-Aab’ from Payam-i-Mashriq, an anthology of Iqbal’s Persian poem which was so popular that Sahir could not have missed it. Faiz Ahmad Faiz also translated most of that book into Urdu verse, which makes it even more interesting to consider the song of Sahir a translation of a poem from the same book. Now, interestingly, the poem ‘Ju-i-Aab’ itself is a liberal translation of a German poem by Goethe. The poem of Goethe is called ‘The Song of Muhammad’ and was a tribute to the Prophet of Islam. How interesting to see that a kind of ‘naat’ (ode to the Prophet of Islam) written by Goethe in German eventually reached the masses in the streets of India and became so popular among them – after passing through transformations in Persian and Urdu. Iqbal happens to be the strong bridge through which this unlikely journey of a poem took place. To serve as a bridge across cultures otherwise indifferent or even hostile to each other is the special strength of Iqbal – and if I may add, ‘nobody does it better’. 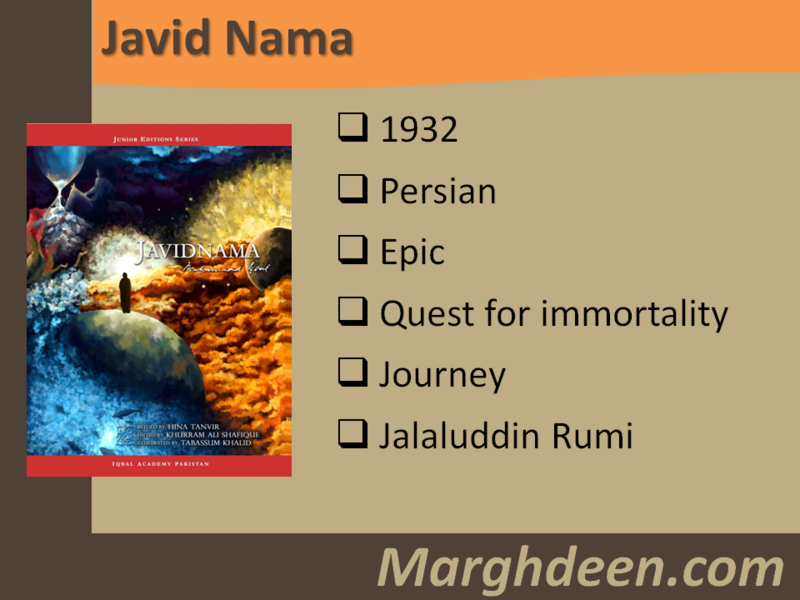 His most important work, Javid Nama, is perhaps the only significant book of verses from the twentieth century to have represented several world religions in a manner that is pleasing to the followers of each of those religions. On this note, I would like to present a brief overview of Javid Nama as the most representative work of this literary movement which started in 1879 and which in my understanding is still alive in our times ‘although most of us are unaware’. Javid Nama is an epic poem in Persian and was first published in 1932. It is a story, the central issue in which is the quest for immortality. The great Sufi poet Maulana Jalaluddin Rumi acts as the guide for Iqbal in this journey. On Moon, he beholds seven visions. Beginning with the blessings from the ancient Hindu sage Vishvamitra in a cave, he moves on to listen to the music of Sarosh, the angel of artistic inspiration in Persian mythology. He then listens to the poetry of Sarosh. He then sees the tablets of four prophets: Buddha, Zoroaster, Jesus Christ and Prophet Muhammad (peace be upon them). These experiences on Moon can be taken as a symbolical reliving of the entire process of evolution through which humanity passed from its beginning up to the advent of Islam. The next stop is Mercury, where Iqbal and Rumi offer prayers behind contemporary Muslim reformers and contemplate the discovery of an “unborn world of the Quran”. It shows that Iqbal’s idea about the glory of Islam in modern times is not to repeat what has already happened but to discover something that has never been and may never be except through guidance from the Holy Book. Next they arrive on Venus. False idols rejected by humanity are condemned here. It is to be noted that Iqbal only includes those idols in this category who do not have any followers anymore. 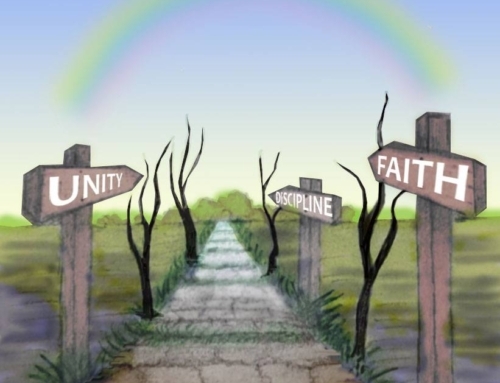 Deities of any living religion are not derided at any point in this journey (and we have already seen how world religions have been glorified at the very first stage). Tyrants, modern and ancient, are also condemned here. 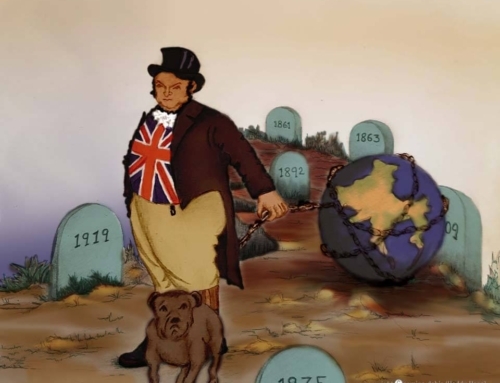 Placing tyrants and false idols on the same planet is perhaps a symbolic reminder that tyrants lose their souls: they are reduced to nothingness, just like idols who never existed in the first place and were mere figments of the imagination of their followers. Mars is the fourth stop. It presents a futuristic world and possibly the next stage in the spiritual evolution of humanity. Rumi informs Iqbal that just as our hearts are contained in our bodies, the bodies of the Martians are contained in their hearts. They live soulfully and they know their destinies, so they can also change them. Their city is Marghdeen, an ideal place where there is no tyranny, poverty or crime. In my works, I have been trying to show that Marghdeen is not utopia. 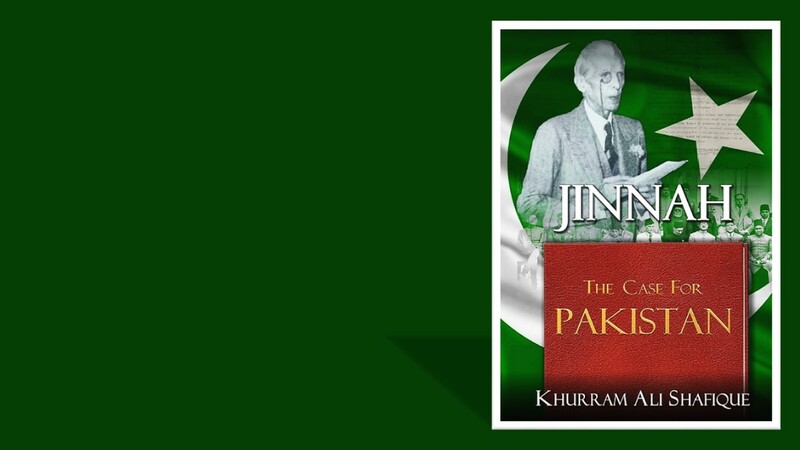 It is an allegory about certain positive developments that were actually happening in the days of Iqbal and have been well-documented in his prose writings. If we understand this we can also see that those developments have continued to happen but we have become unaware of them. Therefore, I propose that Marghdeen is our destiny if we could recognize it and Javid Nama is essentially a journey about realizing it. This is why Marghdeen is presented at the fourth stage, which is the exact middle of the story. Next, Rumi and Iqbal visit Jupiter. Here they meet three souls who were offered paradise but they respectfully turned it down, preferring a life of eternal movement. The souls are the mystic Hallaj, the poet Mirza Ghalib and the Persian rebel Quratul Ain Tahira. On the same planet, the travelers also get to interview the Devil, who appears here as a lover of God. Saturn is just the opposite. Here, the travelers see two souls that were refused by hell. 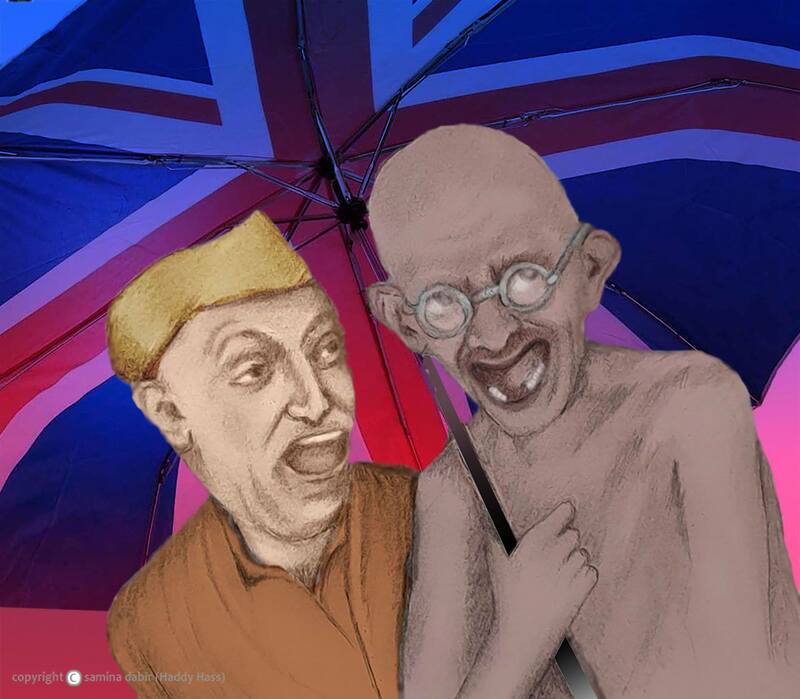 They were Indian traitors who sold their country to foreign rulers. Due to them, the soul of India appears to be in chains on the same planet. On their way to the other world, the travelers see Nietzsche stranded on the boundary. This is perhaps a reminder of the ultimate reach of reason: it cannot take us to the world beyond. Moving on, the travelers reach paradise – a very pluralistic place in this journey, since the ancient Hindu poet Bhartari Hari may also be seen reciting his poetry here. Iqbal moves on to have a meting with God alone. 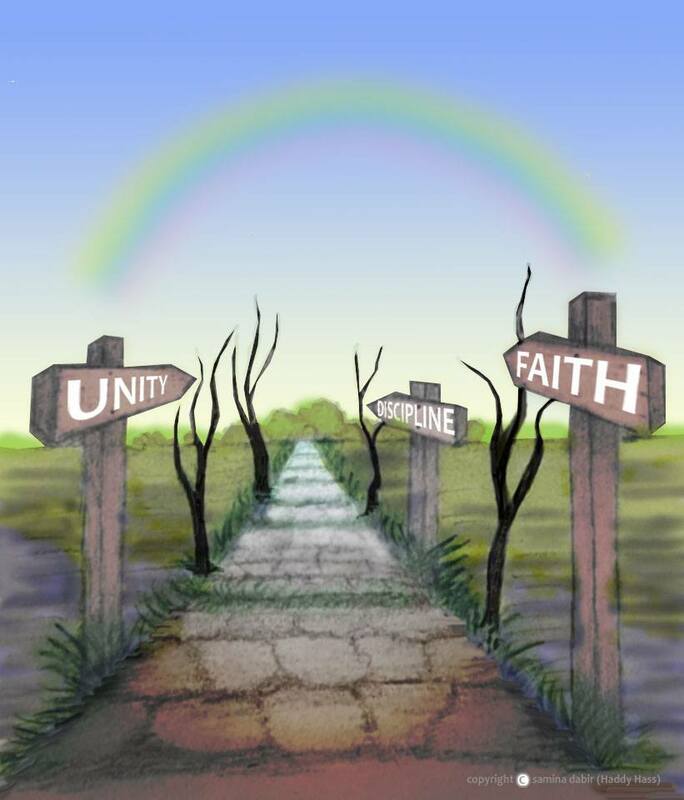 He asks the Almighty to show him the destinies of the nations. This is granted but he faints at the vision. This is the end of the story but there is an epilogue addressed to the Poet’s son Javid and posterity. They are asked to always uphold the dignity of human being regardless of race, religion or any other distinction. 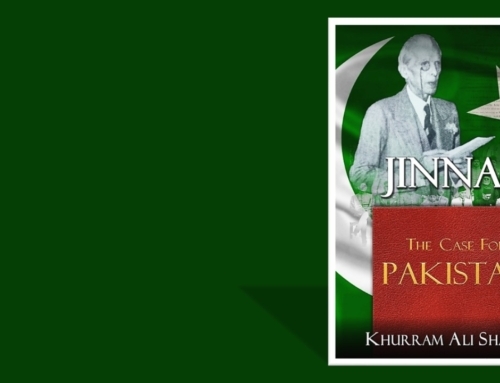 I have just given an outline of the most representative work of that literary current which started in South Asia in the 1870s and which I understand to have continued as the “uniform culture” of Pakistan. I would not like to end without mentioning the ultimate goal of this current or movement. The goal is to produce a certain type of character. In the early twentieth century, the American sociologist Franklin Henry Giddings presented four character types and observed that societies usually choose from among them according to the needs of a particular society. One of those four was the “austere type” of character. Iqbal argued in his 1911 paper, ‘The Muslim Community – a Sociological Study’, that this was the type the community needed and desired. True to his observation, this type of character has continued to evolve in the uniform culture of Pakistan. Two of its best manifestations have been Colonel Faridi, the hero presented by the novelist Ibn-e-Safi; and Nasir, the hero of Armaan, one of the most popular movie of the Pakistani cinema. The movie was written and produced by Waheed Murad, who also played the role on screen. The type of character played by him in most of his 125 movies happens to be, in fact, this type of character. I would like to conclude by emphasizing two points. Firstly, that Iqbal has influenced the culture of his region much more than is generally believed. Secondly, this influence is positive. It defies the pessimism and arrogance of the high and popular cultures, and it encourages us to build bridges between cultures, peoples and faiths while remaining true to our own collective ideals at the same time. I think that this particular perspective on Iqbal is not only unique, but revolutionary and eye opening. It brings out Iqbal from the shackles of the general perception of being an Islamist poet. Manifestation of humanity and mutuality of the unsuspected harmony( that lies hidden from from those without the gift of discernment) of religions across history is remarkable.